A refrigerator water filter could be the last thing on your mind. But if you want the chilled water and ice from your refrigerator to taste, look and smell like the water taken from a pure mountain stream, you got to have one. Chilled water and ice from fridges can be smelly and come with an odd color, just like the water from your faucet. Most people don’t find the water pleasant to drink. How can the best refrigerator water filter help? The filter removes trace levels of chemicals and micro-organisms that remain in chilled water or ice. You have to use the right refrigerator water filter that can remove these impurities and contaminants. Since there are various models from different manufacturers, how do you make the right decision? Luckily, we are here to help. In this best refrigerator water filter review, we have selected a few great models from a long list. We arrived at a decision based on in-depth analysis, consumer interviews and even results of tests conducted by our team of experts. 2.5 Do Refrigerators Filters Remove Fluoride From Water? 2.6 How Do You Clean The Water Dispenser On A Refrigerator? 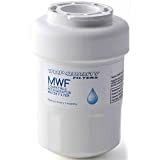 The MWF refrigerator water filter from General Electric is a perfect choice for anyone in need of home water filtration. The filter offers you exclusive advanced filtration. It can filter out up to 5 different trace pharmaceuticals. The target pharmaceuticals include ibuprofen, trimethoprim, atenolol, fluoxetine, and progesterone. The filtration unit features GE’s carbon block technology. This innovative technology reduces waterborne contaminants to ensure effective water filtration. The unit is certified to filter or reduce asbestos, lead, and cysts. In fact, MWF can filter 12 additional contaminants. The resultant water and ice are safe and taste great. You need to buy this water filter if you own one of the side-by-side and bottom-freezers from General Electric. The filter can also work with Hotpoint refrigerators. You do not have to worry about compatibility issues because GE is guaranteed to fit. You have to be careful when it comes to compatibility. It would be embarrassing and time wasting to buy a filter only to realize that it cannot fit your refrigerator. For peak performance of the MWF, GE recommends that you change the filter cartridge after every 6 months. If you are poor with record keeping, you can remember to replace the cartridge after it filters 300 gallons of water. The cartridge delivers optimal performance throughout the recommended lifespan. 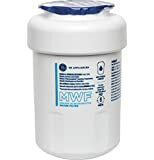 Be careful when shopping for General Electric MWF refrigerator water filter because there is a fake version going rounds on the market. It requires high levels of discerning to tell the difference between the genuine MWF and fake MWF. The fake version only removes chlorine taste and odor. The Samsung Genuine DA29-00020B is another excellent refrigerator water filter we thought wise to include in our reviews. It can deliver clean, clear water and ice that look and taste great. The filter can also protect components of your refrigerator from potential harmful sediments. These refrigerator filters use revolutionized technology to filter water. Referred to as Carbon Block, the technology can remove or reduce up to 99 percent of various potentially harmful germs and contaminants present in some types of water. The unit comes as 2-pack. You can find them either inside or outside the refrigerator. Both filters will work just fine. The filter is designed to work specifically with Samsung Side by Side or French-door refrigerator with an ice and water dispenser. Thus you can enjoy perfect health with fresh filtered water you get right from your Samsung water dispenser. Ensure you buy genuine Samsung refrigerator water filter because there are fake versions out there. Genuine Samsung filters have undergone rigorous testing and certification by NSF International. NSF is an international, non-profit making, non-governmental organization that dedicates itself to promoting and protecting public health, safety, and environment. The filter is technologically advanced. You will know when you need to replace the filter cartridge by simply looking at your refrigerator’s digital panel. There is a filter light indicator which turns red. As an alternative, you can use a monthly sticker as a reminder. You can find the sticker inside the filter cartridge package. Just stick it on the filter cartridge to remind you when replacement is necessary. When looking to replace a filter for your refrigerator, it is always good to buy the one made by the same brand that manufactured your fridge. The problem is that such brand refrigerator filters tend to be more expensive than third-party models. If you choose to go with third party models because of their cheap cost, you must also be careful because you could end up with a fake. 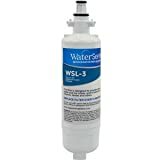 The Best GE MWF refrigerator water filter is a great and high-performance replacement for more expensive brand water filters for General Electric refrigerators. This filter has been on demand for a long time. Combined, those factors should give you the confidence that you are about to buy a great and dirty cheap replacement for your GE refrigerator. This water filter offers superior filtration. It can remove odor, bad taste, and numerous other aesthetic impurities. The list of chemicals and contaminants it can remove from your chilled water and ice may not compare well with those removed by the brand GE MWF refrigerator filter. You will need to replace it after 6-months of use for best results. The great news is that the manufacturer offers buyers of the Best GE MWF water filter a 100 percent money back guarantee. Simply return the filter for a full refund if it does not work with your compatible refrigerator. This replacement filter may not achieve the level of purification of the brand filters, but it offers a great and cheaper alternative. 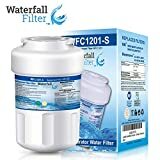 An even cheaper alternative refrigerator water filter you can buy for General Electric and Hotpoint refrigerators is the Waterfall Filter WFC 1201. This appliance costs almost half the price of branded GE filters, yet it delivers the same great performance you would expect from the former. This filter is very versatile. It is a great replacement for GE MWF, GWF, GWF01, GWF06, GWFA, and MWFA refrigerator water filters. As long as you have a refrigerator brand using any of those filters, you do not have to worry about compatibility issues. Although it is cheaper than the branded filter, this price does not compromise quality or flow-rate. An advanced filtration technology is incorporated into the filter to boost its performance. The filter is designed to remove chlorine, heavy metals and other chemicals and contaminants leaving behind potentially healthy and beneficial minerals. Few replacement refrigerators water filters do have this capability. This unit is compatible only with General Electric and Hotpoint refrigerators. Only the refrigerators with a round white plastic filter mounted inside the fridge compartment above the top shelf are compatible. Although the filter is only NSF42 certified, it can remove more than just aesthetic impurities in water. We have found that the quality of water it delivers is as good as that of the official GE filter that has both NSF42 and NSF53 certifications. 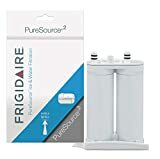 The WF2CB Puresource2 Ice and Water Filtration System from Frigidaire is potentially the best inline water filter for refrigerators. We have ranked it in position 5 only because it is limited in the number of refrigerators it can fit. So far it is compatible only with Frigidaire part numbers FC-100 or FC100, SWF2CB, WF2CB, NGFC-2000 NGFC2000 and NGFC 2000. It is also a good replacement for Kenmore parts 9911, 9916 and 46-9911. You will remember that these Kenmore refrigerators are manufactured by Frigidaire. WF2CB fits all the front-cassette models of Frigidaire refrigerators. For these refrigerators, the filter fits extremely well. This makes installation easy and fast. The state-of-the-art filtration unit of the WF2CB removes chlorine odor and taste. It removes sediments as well as over 99.99 percent of lead, cysts, and turbidity. However, it leaves behind fluoride. It also removes herbicides, pesticides, mercury, atrazine, alachlor, and toxaphene. This great performance is a signature of all Frigidaire products. If you are a fan of long-lasting filter cartridges, you will love this model. You can use it for 9 months before replacement. You do not have to worry about the hassle associated with replacing the filter. 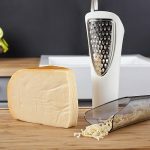 It features a slide-in-slide-out technology for easy and tool-less replacement. A new Frigidaire WF2Cb PureSource2 will have some resin visible on its casing. According to the manufacturer, the resin comes from sonic weld process. The resin is NSF approved. If you encounter it, know that it is okay. LG seeks to make it easy for you to change your water filter so that you can always enjoy healthy, great-tasting water. You can trust LG LT700P Refrigerator Water Filter to help you achieve this. It is a 6-month (200-gallon capacity) water filter that is capable of removing harmful impurities in chilled water and ice. It can filter out chlorine odor and taste while reducing heavy metals and chemicals such as mercury, lead, benzene, and asbestos. It will deliver clean, clear and healthy water and ice for you and your family. There are imitations of this filter but only genuine LG refrigerator filter can deliver dependable results. Although the filter is rated at 6 months, the frequency of replacement should be a function of how often you use this accessory. Water source is also an important determinant. Depending on these factors, you may have to replace it as soon as after every 3 months. However, it is always good to follow the recommendation of the manufacturer. LG has incorporated a technology in their refrigerators that lets you know when to replace your filter. Every time you replace your refrigerator, reset the filter indicator on your refrigerator’s control panel. It will start counting for 6 months. Replace your filter when the indicator reads zero. The LG LT700P is compatible with up to 40 models of LG refrigerator. It is important to check the model number of your refrigerator before buying a filter. Like all high-quality refrigerator water filters are NSF 42 and 53 certified. When you choose to buy Samsung Side-by-Side or French-Door refrigerator fitted with water and an ice dispenser, it will come with a built-in water filtration system. However, you cannot use this filter forever. After a couple of months, it will need replacement as particles and sediments of impurities saturate its cartridge. Although there might be other compatible, non-official Samsung refrigerator water filters, you will be much safer with a Samsung Genuine DA29-00003G. This compact unit delivers clean, clear and tasty water and ice for you and your family. 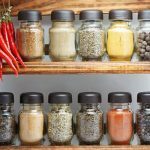 It will also protect the components of your refrigerator from damaging sediments. Like other Samsung inline water filters for refrigerators, this unit features a revolutionized technology called the high-grade Carbon Block. The technology can get rid of up to 99.99 percent of various contaminants that might be present in your water. These contaminants can pose risks of waterborne diseases to you and your family if not removed. The filter can remove chlorine taste and odor, heavy metals and chemicals and microbial cysts that may be present in your water. For best performance, Samsung recommends that you replace your filter in six months. You can also tell your filter cartridge needs replacement if there the flow rate is reduced. This means the cartridge may be clogged by sediments and particulate impurities. Furthermore, a light indicator in your Samsung refrigerator’s control panel will signal you to change the filter when it turns red. 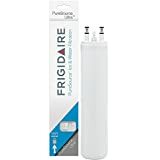 The Frigidaire ULTRAWF is one of the ideal refrigerator filters currently on the market. It is designed to work with Frigidaire Pure Source Ultra Refrigerators only. It is one of the models chocked by imitations that retail at lower prices and claim to perform just like the genuine ULTRAWF. Therefore you need to be concerned when looking to buy this filter. That said; this water filter features a technology that removes all manner of impurities from chilled water and ice. It can remove lead, class-1 particulates, mercury, cysts and other impurities collectively called VOCs (volatile organic compounds). It also removes chlorine taste and odors that may be in your water. Very few refrigerator water filters can deal with VOCs. So, if you happen to have a compatible refrigerator, then you should count yourself lucky. Frigidaire recommends that you replace the filter cartridge after 200 gallons of water. This translates to about 6 months of use. Its flow rate is 0.5 gallons per minute. However, the frequency of replacement should be determined by the size of your family. You may have to replace it more frequently, maybe after every 4 months. This is important if you want to achieve the best results with your refrigerator water filter. According to the manufacturer, you should not have any problems installing the unit. However, we have talked to many users who have tried to install this filter. They say installation may not be as easy as claimed. So, you need to read the instructions well to have an easy time with installation. It will fit any refrigerator designed to use GE’s RPWF or RPWFE filters. The filter is only used in selected GE French-door refrigerators. Use your refrigerator model number when shopping for this unit to know whether it is compatible with yours. 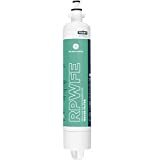 The GE RPWFE Refrigerator Water Filter filters up to 5 trace pharmaceuticals as well as selected pharmaceuticals. Some microbial cysts are always resistant to the mainstay water purifier – chlorine. You’ll realize that only few water filters can remove chlorine-resistant cysts and other stubborn waterborne contaminants. The filter also gets rid of lead, mercury as well aesthetic impurities in chilled water and ice. Similar to other great filters, this unit requires little more than simply reading and following instructions. You do not need any tools. GE recommends that you replace the filter after 6 months of use or after it has filtered 300 gallons of water. However, you may need frequent replacements if you have a large family. The biggest limitation of this filter is it kind of narrow compatibility. It can only support a few selected GE refrigerators. Perhaps, GE would do well to increase the scope of refrigerators that can use this wonderful filter. You can count yourself lucky if your refrigerator is compatible. We will finish our in-depth reviews of the best refrigerator filters by analyzing the EveryDrop by Whirlpool Refrigerator water filter. According to our observation, EveryDrop Filter 1 is the only filter that is certified by Whirlpool Corporation to be used with Whirlpool, KitchenAid, Maytag, Amana and Jenn-Air refrigerators. This filter is certified by NSF to remove up to 24 contaminants that may be present in your refrigerated water. It targets pharmaceuticals, lead, mercury, waterborne parasites as well as pesticides and herbicides. It also removes chlorine odor and taste from water leaving it to look and taste like your preferred mineral water. The EveryDrop Filter 1 by Whirlpool uses triple filtration technology. This technology consists of particle- filtration, micro-filtration, and absorption-filtration. Particle filtration blocks larger particles, micro-filtration captures medium-sized particles and absorption filtration absorbs microscopic contaminants. This guarantees thorough and more effective filtration. 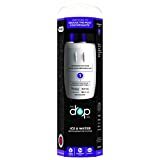 If you have the discontinued Whirlpool W10295370a Refrigerator Water Filter, then you have a compatible replacement in the EveryDrop Filter 1. Incidentally, it is the only genuine replacement for this discontinued refrigerator filter. The filter can be used in side-by-side, bottom and top freezer refrigerators which accept it. The manufacturer recommends that you replace the filter after it has filtered 200 gallons of water. This is equivalent to 6 months of use. However, you can replace it as frequently as 4 months to maximize contaminant reduction capability. Hopefully, we have done a good job in the previous section. But even with that, it is possible that some confusion still clouds your judgment. It is perfectly understandable. So, in the next section, we will provide you with even insight to help you further in decision making. 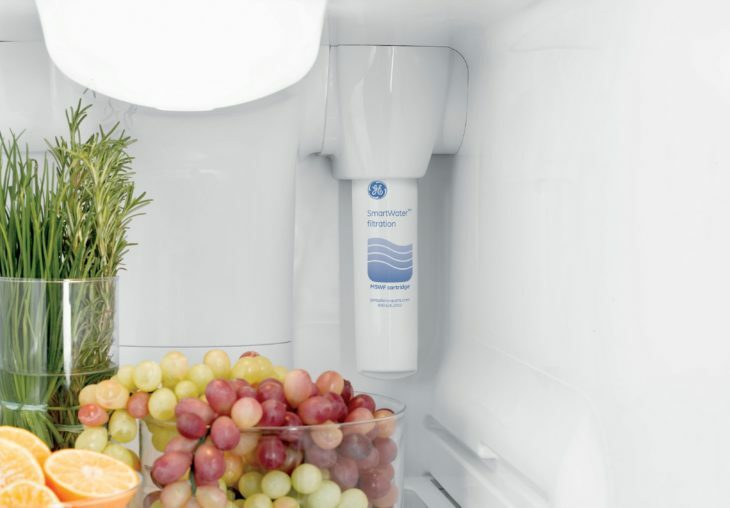 How do you choose the best refrigerator water filter? I would say this is the most important factor to consider. It is a simple concept but if you are not keen, you might just suffer the consequences of not paying enough attention. All manufacturers of refrigerators will build parts and accessories for their particular models. Such parts and accessories are obviously compatible. However, there is way too much corruption and fraud in the industry dealing with water filters for refrigerators. There is no such thing as a universal filter for all brands and models of fridges. It is highly unlikely that a versatile model can achieve optimal performance without specificity. All you need is common sense to match your refrigerator brand with its compatible refrigerator water filter. The next thing is to find a model of filter that fits your specific model of refrigerator. Here, you will need to check the model number of your specific model of refrigerator. Use it to compare the information provided by the brand manufacturer on water filter compatibility. It is common to find refrigerator water filter brands that match the refrigerators’ brand but not the specific refrigerator model we have. In such a case, you may succeed in installing the filter and it will work. However, it will most definitely leak. Other fitting problems may also arise. Returning a product for lack of compatibility is embarrassing. That is why you must search compatibility thoroughly before you buy your preferred fridge water filter. Luckily, most sellers provide a way for customers to check the compatibility of their specific refrigerators with the filters they sell. All customers need to do is provide their brand and model numbers. Anyone desperate for money can do anything to get their hands on cash. The issue is grave when it comes to refrigerator water filters. It would be a mistake to buy just any relic generic filter brand that claims to clean up your chilled water. Such filters must be able to pass several certifications for quality, performance, and safety. 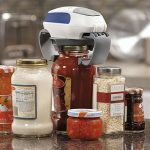 Luckily, there are specific bodies with authority to certify these appliances with specific standards. The most authoritative body when it comes to refrigerator filters is NSF International. This body was originally known as National Sanitation Foundation. NSF International is a non-profit making, non-governmental organization that specializes in setting standards for public health and safety. This organization works with the American National Standards Institute (ANSI) to set two standards for filters. The two standards are 42 and 53. The NSF/ANSI standard 42 deals with aesthetic properties of water: taste and smell. Thus any refrigerator water filter that is certified for standard 42 is capable of removing the esthetic impurities in water supply such as chlorine. Filters that lack this certification deliver water that taste and smells like water that has just been gotten from a faucet. However, there are many contaminants that do not smell or taste yet they are harmful. Water with these contaminants will not taste or smell bad but can be poisonous. The NSF/ANSI standard 53 deals with such harmful contaminants. Any filter that is certified to standard 53 thus can remove such tasteless and odorless contaminants. If you are searching for a high-performance, high-quality and safe filter, ensure it is certified to both NSF/ANSI standard 42 and standard 53. It is common to find filters that are certified to standard 42 only. 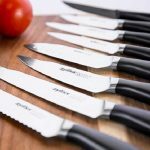 They tend to be much cheaper than the models with standard 42 and standard 53 certifications. The best models may have additional certifications such as those for volatile organic compounds (VOCs). The prices of refrigerator water filters can range from as low as $14 to as high as $120. The major determinants of the price are brand, performance, flow rate, lifespan and filtering mechanisms. The cost may not be as critical as the first two considerations. However, you have to know that you only get what you pay for. Online stores such as Amazon tend to offer better prices than physical stores. Besides, you have a seemingly unlimited variety to choose from. The best part is that you can easily compare prices versus quality and performance and thus arrive at the right decision. Buying a filter from online stores also shields you from buying a generic filter. The filters sold online are always original and genuine. Besides the three Cs, there are a few more factors worth considering. We’ll look us have a brief look at these factors. Water filters are rated for their capability to filtrate based on particle size measured in microns. The lower the micron rating, the higher the ability of the filter to block tiny contaminants is going to be. With only a few exceptions, all brands of refrigerator filters use granular activated charcoal to remove contaminants and particles from water. Such granules have an average rating of 20 microns. A few models have various filtration stages to improve contaminant and particle removing abilities. It is good to pay attention to the micron rating of your preferences as well as the specific things the filter is certified to remove. Here, we categorize water filters based on where they fit inside the refrigerator. You also need to take a keen interest in the size of the filter. These have a lot to do with compatibility as we previously mentioned. The common locations of water filters in refrigerators give us four types of filters. 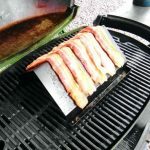 These are grille, drop down, slide out and canister. Take time and research on these types so that you can make an informed choice. Some have very slight differences so you need to be extra keen. 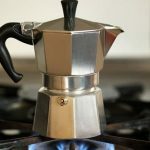 Do Refrigerators Filters Remove Fluoride From Water? In the US, fluoride is usually added to water in the form of fluorine because it helps to prevent tooth decay. It also has many health benefits. However, some evidence indicates that fluoride might be harmful to health. In fact, Continental Europe has outlawed the addition of fluoride to drinking water and other products. Because of the confusion, some people are unsure of the safety of fluoride added to their water. So, they want to remove it. This leads to the question: Do refrigerator filters remove fluoride from water? The answer is no. Currently, none of the refrigerator filter brands is capable of removing this chemical from water. The only proven ways to filter fluoride from water is via reverse-osmosis water filtration system or use of deionizers. Most of the current brands of water filters for fridges use granular activated carbon which cannot filter fluoride from water dispensers. You would be lucky to find a refrigerator filter that is capable of removing fluoride from water. How Do You Clean The Water Dispenser On A Refrigerator? We may dispense water from the water dispenser on our refrigerator daily but we’d forget to clean it as often. What is the reason for overlooking this important part of your fridge? The simple answer is we just forget how important it is to maintain the dispenser clean. Yet, the importance of cleaning the water dispenser cannot be overemphasized. Failure to clean it regularly can lead to building up of harmful bacteria which can cause waterborne illnesses. Today, you can learn how to clean the water dispenser on your refrigerator so that you never overlook it ever again during your kitchen cleaning routine. Step 1: The first thing you should do is to turn the water valve that supplies water to the dispenser. In most cases, you’d turn the valve clockwise switch it off. Step 2: Find a screw that is affixed to the copper tubing and loosen it using a compatible screwdriver. The screw connects the water supply pump and water tank. Once the screw is loose, just slide off the water tube. Step 3: Use a funnel to pour two to three cups of vinegar inside the tube you have just removed. You need to hold the tube in an upright position. This will allow the vinegar to drain into the first storage compartment. Give the tube about five minutes than fasten it to the back of the refrigerator or the wall with a Teflon tape. This will allow the vinegar to continue flowing downwards. Step 4: You can now empty the container that holds ice cubes. Find a lever on the container that makes ice cubes. Adjust it to “ON” position. This will allow the vinegar to flow through the system to clean the maker of ice cubes. Step 5: Find the button present on the dispenser that activates the water pouring mechanism. Press it and hold continuously. Do this until all the vinegar has been evacuated. This will clean both the tubing and the internal structures that direct water to the spout. Step 6: You will use a bottle brush for in this step. Dip the end of the brush in vinegar. Use it to clean the open end of the dispenser’s copper tubing and the spout area. Find an old toothbrush. 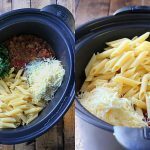 Dip it in vinegar and use it to brush the drainage plate or reservoir on the dispenser. Step 7: Reassemble the unit. Slip the end of the back of the copper tubing into place and tighten it with a screwdriver. Switch the water valve on. Also, keep the ice maker on the “ON” position. Allow water to run in the system for a few minutes before you drink it. This will remove any residues of vinegar. Finally, we have reached the end of our in-depth reviews of the best refrigerator water filters. It is our sincere hope that you have found this resource helpful. The ball is now on your courts. 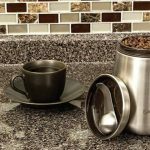 Use this information to make an informed choice when shopping for a great water filter for your ice and water dispenser. We trust our choices. Therefore, you can simply click the product links to check them out. You will likely find what you have been looking for. Otherwise, you can still make use of our detailed buying guide to make your personal choice. Thank you for staying with us until the end. Shop wisely.